Telnet is a command line protocol used to manage different devices like Server, PC, Router, Switch, Camera, Firewall remotely. 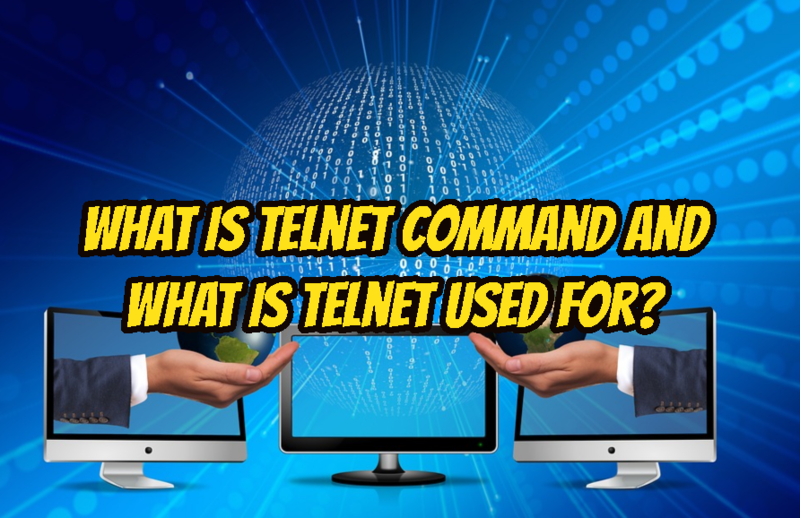 Telnet is a very simple protocol which provides simple remote connection and sending commands or data to the remote network connection. This makes telnet very popular among IT systems. Telnet generally comes after SSH for remote system management from the command line. Telnet protocol is created with the computer networks. After a research protocol which is developed by DARPA named computer network created. Computer network made the computers available from remote for management and usage. Telnet is created as a remote command line interface management protocol. The first usage of the telnet protocol is in 1969. Telnet is designed as a simple TCP/IP protocol. Telnet has popular Client and Server architecture. Server side will provide telnet service to connect from a client telnet applications. Telnet server side generally listens for TCP 23 port to accept telnet connections. But this port can be changed for security or other reasons. So telnet client needs to specify the telnet port explicitly. Telnet is a simple protocol which makes it very less features. Telnet protocol provides following features for remote system management. As stated previously telnet is a very popular protocol which means it is used by different type of devices in a broad range. Here is a list of devices that uses telnet for remote management. As stated previously telnet architecture consists of server and client. Telnet server and client can be installed into all Linux distributions like Ubuntu, Debian, Fedora, CentOS, RedHat, Mint etc. Telnet server and client can be installed into a Windows server or client os different ways. Telnet client and server is provided by Windows natively. The alternative is installing 3rd party applications like MoboTerm etc. Telnet is security is the biggest problem of the telnet protocol. Telnet protocol is not encrypted which makes it vulnerable to the man in the middle-security attacks. The telnet traffic can be readable if someone can sniff the traffic from the network. Encryption makes is unreadable by others other than the remote part. Telnet also provides only password-based authentication. As stated previously passwords are transmitted over the network where passwords can be caught by attackers. Password-based authentication is less secure than certificate or key based authentication. By default, telnet protocol does not encrypt its traffic. If we want to encrypt traffic we can use Telnet/s which encrypts the traffic. Actually, some TLS/SSL tunnel is created and telnet traffic is transmitted through this TLS/SSL tunnel. Because of the TLS/SSL implementation it Telnet/s is not used widely. With its positive and negative attitudes, telnet has different alternatives. SSH is the biggest and better alternative to the Telnet protocol. SSH provides better security by encrypting traffic and providing better and secure authentication. SSH also have a lot of extra features like X desktop forwarding, port forwarding etc. RDP is not a command line remote protocol it is used as GUI based. RDP needs more network bandwidth but provides complete desktop experience. VNC is an opensource alternative which similar to the RDP protocol. It provides desktop remotely but slower than RDP in most cases. SNMP is designed for remote management over non interactive commands. But it is mainly used to monitor remote systems and not complete alternative to the telnet protocol. 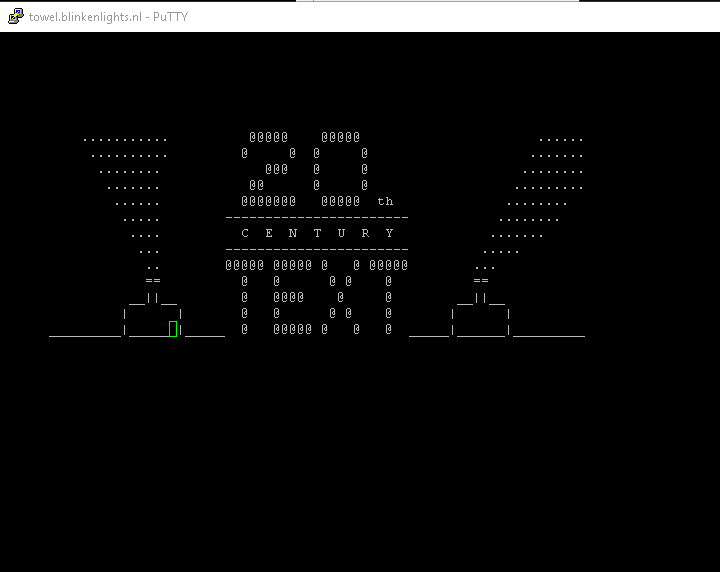 There are some telnet services on the internet which provides some asciinema or ASCII bassed cinema. 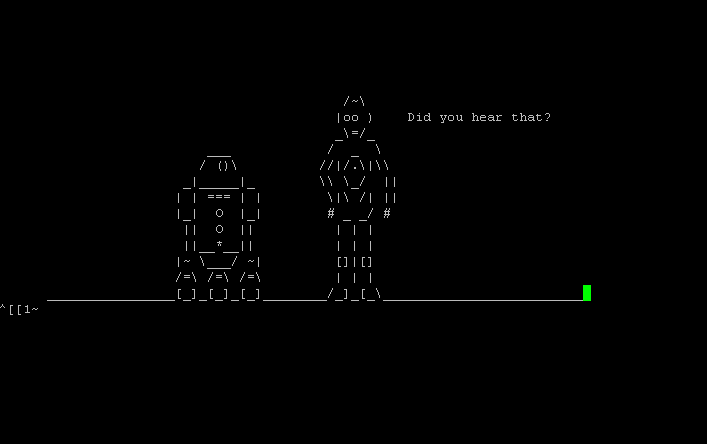 This service runs a short film over the telnet protocol. We can access this film from towel.blinkenlights.nl like below. Get your popcorns the cinema starts.